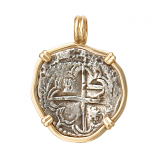 You don’t need scuba gear to find buried treasure. 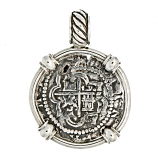 Dive into our extensive line of unique handcrafted Spanish and treasure coin jewelry. 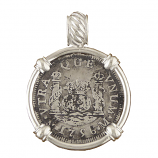 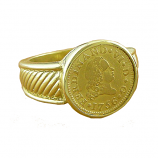 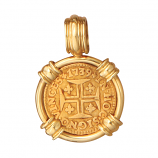 All of our coins are guaranteed genuine and are accompanied by a certificate of authenticity. 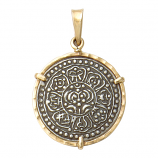 These pieces are mounted in solid 14kt. 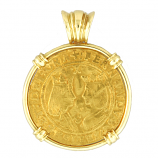 and 18kt. 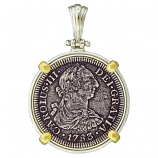 gold frames as well as sterling silver. 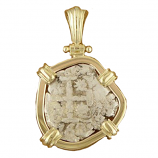 We also feature precious and semi-precious stones to tastefully adorn our high-quality frames. 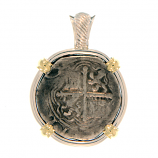 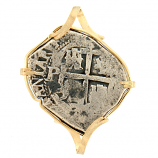 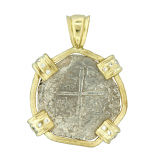 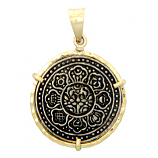 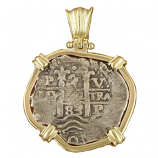 Each Spanish and treasure coin jewelry item is a unique piece of history. 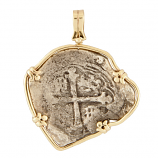 Included in the Cedar Chest collection are ancient Greek coins struck from as early as 550 B.C., ancient Roman pieces, and a variety of Byzantine specimens. 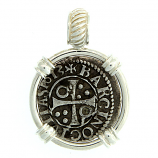 We also showcase selections from the Middle Ages and medieval period to Spanish treasure like pieces of eight and gold doubloons. 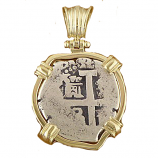 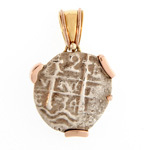 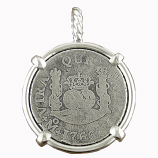 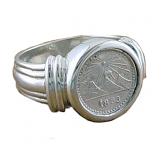 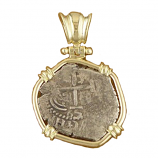 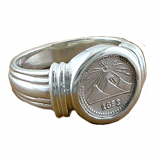 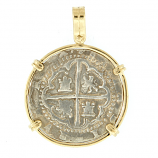 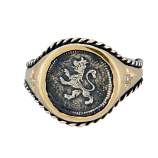 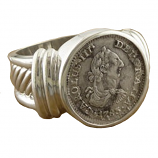 All Spanish and treasure coin jewelry pieces are fully certified by a numismatic authenticator. 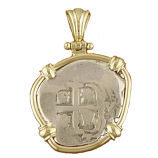 When you want to add a unique piece of jewelry to your collection or, as a gift, to a loved-one's collection, choose The Cedar Chest Fine Jewelry and discover why our satisfied customers locally and around the world love our expansive collection of Spanish and treasure coin jewelry. 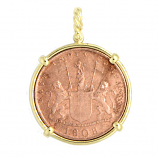 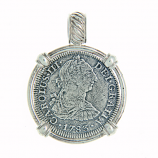 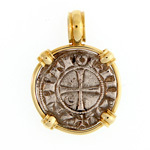 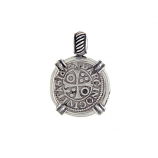 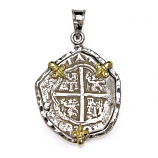 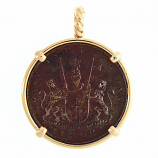 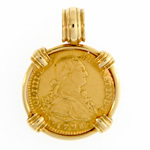 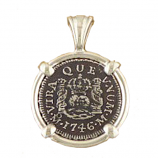 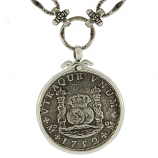 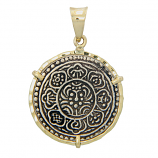 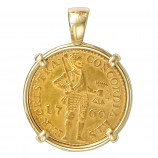 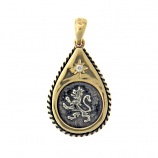 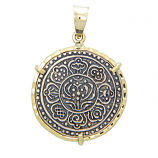 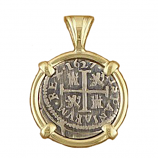 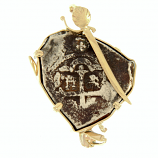 Have Questions About Our Spanish and Treasure Coin Jewelry Collection?